So the good guys up at Crytek have showcased six minutes of gameplay footage from the upcoming Crysis 3 game. The footage is Alpha gameplay still, meaning the game itself has several stages of refinement to go through, but from what we saw, it still looks pretty damn good. 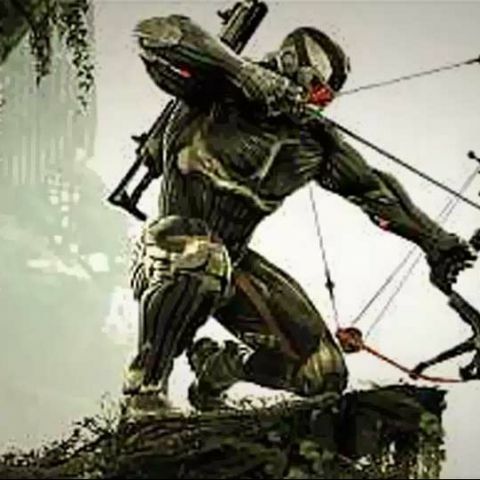 The Crysis 3 gameplay finally shows off the bow-and-arrow in action, something that’s been creating quite a buzz since its first introduction to the world. We finally get to see what it does (shoot freakin’ electric arrows) along with getting a glimpse of other changes in the game. For example, we noticed in the footage that while Prophet is sprinting, it doesn’t drain the suit’s energy anymore. This is definitely going to be good if you’re trying to rush through a firefight and into cover and are low on energy. The previous games have had the sprinting feature drain energy, which was pretty frustrating as it often led to dying when we were in the thick of battle, trying to run to cover. Now for some juicy tidbits about the game release – Crysis 3 is slated for a February 2013 release and if you pre-order now, you get a digital copy of the first game for free. Remember the original Crysis? The one that required a quadrillion core CPU and a similar GPU with a bazillion GB of RAM to run on the highest settings? Yeah, Crytek is giving that away for free if you pre-order now. Then there is the Crysis 3 hunter Edition, which entitles you junkies to some extra freebies. For starters, you get the Predator Bow and its attachments along with the Hunter Nanosuit to start with in the Multiplayer mode. If you own the hunter Edition, you will also be ahead of the pack, thanks to a head start during online play along with an XP boost to level 5.